"... I've never believed that anything other than a quick meal or shake is enough after a workout. But, I gave this a go as I wasn't able to recover enough, training 6 days a week. After a short week, actually even sooner, I was able to train much harder and longer even sometimes twice a day. Taste is good and the value is well worth the high price. " A full doses active matrix of ingredients to deliver recovery success! Most athletes or just regular gym folk put plenty of time in to their pre-workout meals or drinks and even the intra-workout bcaa craze is gaining speed. But when it comes to the post workout method.. most just know to grab a protein shake right after and then a full meal about an hour later. 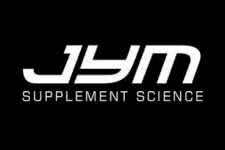 But while that method has stood the test of time, there is a far simpler and more effective method, introducing Post-Jym! It's essentially the ideal post-workout recovery formula that will take your results to the next level. From the first time you use it, you'll feel the difference in the next day. 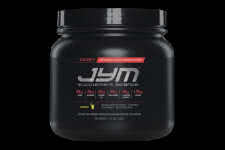 Ideally you will take it with the Post JYM Fast-Digesting Carb, but you can use things such as gummy bears or worms. It does the same trick. The blend of ingredients which makes this work is Branched-Chain Amino Acids, Creatine HCL, Beta-Alanine, Carnipure L-Carnitine L-Tartrate, Glutamine, Betaine, Taurine and finally BioPerine to help absorption. We love the original Fruit Punch flavor, but all are truly great. Give your starved muscles what they need post-workout through science! Available in 4 all new delicious flavors you can enjoy after training!